As this is my first blog as Co-Chair for Disability Labour, I’d like to welcome all our members, new and old, to what I believe is a new beginning for our socialist society. As many of you will be aware, it’s been a difficult period for Disability Labour, and we have in many respects been letting our members down. However, since our Annual General Meeting on 8th September in Leeds, and the installation of the new Executive Committee, we’ve seen actions being taken and more communication in 25 days than we saw in the last four years. A commitment to our members unlike anything we’ve seen since the change to Disability Labour in 2014. I am, frankly, ashamed of how Disability Labour failed to communicate with members in the past – one member’s newsletter sent only by email and very little else in four years is simply unacceptable. I cannot, and will not, apologise on other’s behalf, and I am certainly not going to apologise for previous Executive Officers or the previous Chair. I am, however, aware of the anger and disappointment felt by our members and for that I offer not only my disappointment and solidarity but also my determination to ensure this never happens again. As Co-Chair of Disability Labour I make you this promise on behalf of the new Executive team – our focus will always be our members and we will work hard to regain your trust and support to Disability Labour. Our new Executive is a strong and diverse team, with members from across the country. I am in the North West of England – my fellow Co-Chair, Fran Springfield, is a resident of the People’s Republic of Vauxhall in London. We have members in East and West Midlands, in the North East, and all points in between. We are committed to ensuring our members are represented across the length and breadth of the United Kingdom and beyond – at Conference we had solidarity from the Labour International CLP! Our first twenty five days have seen a number of changes and the foundations laid for our plans. We have achieved 4 of our 12 aims and the others are on-going. Our first Executive following the AGM was held online, with members able to watch and ask questions. We’ll be doing the same with all our meetings, whether online or meetings in person, and ensuring member participation at each and every meeting. Our Secretary, Simon Lydiard, has done a fantastic job in getting the minutes done promptly and, as we promised, available to all our members. We’re also in discussion with the Party to ensure our membership is held by Disability Labour to ensure effective communication. This should have happened a long time ago! And, very importantly, we’ve ended the barrier of a membership fee in favour of a donation and affiliation scheme. Now every member of the Labour Party who identifies as disabled or a supporter is able to join Disability Labour! On 22nd September, the Labour Party headed to Liverpool for our Annual Conference. We were determined to have a strong presence at Conference, despite a lack of organisation from the previous Executive. I want to take this opportunity to thank our great team – Fran Springfield, Nico Pollen, Kathy Bole, Dave Townsend and Barb Roberts for the work they did on our Disability Labour stand in the Exhibition Hall and the welcome given to all our members who visited. Our Fringe event on the Monday, a hastily put together Q&A with myself, Fran and Kathy, was a great success and I’m also grateful to Marsha de Cordova, our Shadow Minister for Disabled People, for joining us and speaking on her position for a few minutes. Thank you to all who attended. You may also be aware that an issue arose following a tweet from Talk Radio’s Julia Hartley-Brewer regarding the safe space provided by the Party for those who may need it. Following concerns raised by members to us the Co-Chairs and Co-Vice Chairs and one of our members met with the Conference Arrangements Committee (CAC) on the Wednesday morning prior to Jeremy Corbyn’s speech to outline our concerns. I want to be clear – nothing is more important to Disability Labour than the wellbeing of our members. It is for that reason that we called on the CAC to ensure that Ms Hartley-Brewer was not welcomed at future Labour Party Conferences, and I am grateful to the CAC for unanimously agreeing with our calls and taking swift action. The Executive Committee are continuing to engage with the Party in ensuring we have all of our membership details and that we never again have a situation where our members are not fully involved. Universal Credit cannot be fixed. It should not be paused. Universal Credit must be stopped and scrapped with immediate effect. We’re also looking at expanding our network, working with Disabled People’s Organisations (DPOs) such as Disabled People Against Cuts (DPAC) and others and contributing to discussions and campaigns going forward. Most of all, we want to work with you, our members, to make this a great organisation. What do you want to see from Disability Labour over the next 12 months? What changes do you want to see? Is there something you feel we’re missing and how can we rectify that? A thank you. To all those who attended the AGM. To those members and supporters who have engaged since and supported us through Conference. As Co-Chair I’m proud to lead this Executive and work with our members to ensure our voices are heard. We have a lot to do, and Disability Labour are working hard to ensure that you, the disabled members of the Labour Party, have that voice. My thanks for your time. If you have any comments or questions, I’m available via email to wayne.chair@disabilitylabour.org.uk or via my Facebook page at www.facebook.com/cllrwayneblackburn. According to Police figures across England and Wales there has been a 33% increase in disability hate crime in 2017-18 compared to the previous year. These figures, reported in The Independent on Monday, are based on Freedom of Information requests made by the charity United Response responded to by 32 of the 43 police forces. The charity also states they believe disability hate crimes are underreported despite rising figures. As Co-Chair for Disability Labour I am keen to work with charities, Police and Crime Commissioners, and other organisations to highlight this problem and call for further work to be done to recognise the signs of hate crimes and know how to report them. Here in the North West, I’m working with Clive Grunshaw, Lancashire’s Police and Crime Commissioner, and Disability Equality North West, to highlight the #SayNoToHate campaign, which is highlighting the issue and providing Support to Report centres across Lancashire. Any hate crime is unacceptable. Full stop. 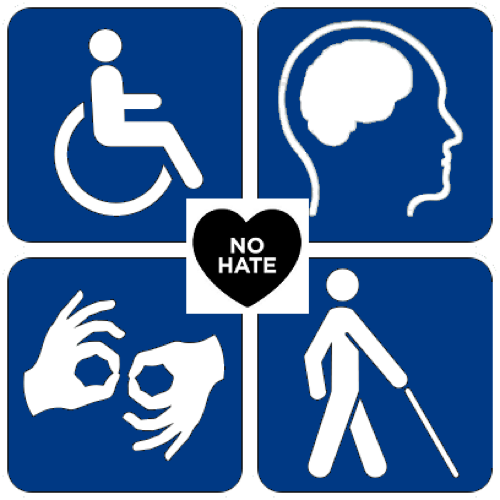 If you are concerned about disability hate crime or are concerned that someone you know may be the victim of any kind of hate crime then please report it. It’s important that we shine a light on this issue and do all we can to eradicate hate crime. 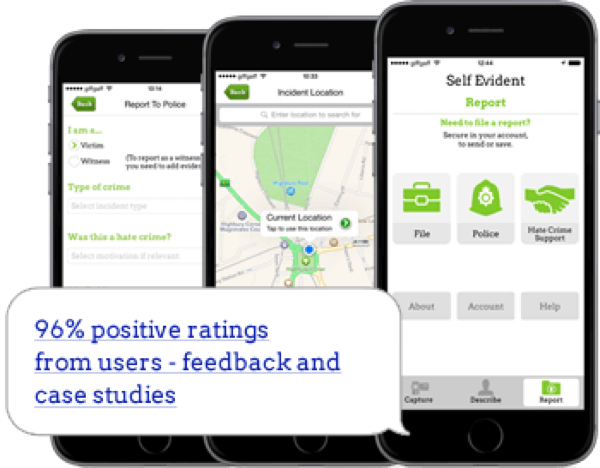 The Self Evident app from Witness Confident is a quick, easy and safe way to report hate crime wherever you are. It was shocking to hear the statistic and it will fuel the anger felt across the country. 43% of people in receipt of ESA have been so utterly devastated that they wanted to die. It leads you to wonder how many have succeeded? Unfortunately, when it came time for her response, Sally Newton, Minister responsible for the DWP, first blamed A past Labour government for instituting the WCA in 2008. Followed by the fact that they, the Tories have been following independent advice to and try reform it, for 11 years. There it was, the standard “oh no it isn’t” response in a debate. There are many people who have told ministers what is happening. DPAC (Disabled People against the Cuts), ROFA (Regain Our Futures Alliance), and the UN amongst many, many others. The government chooses not to listen. The darker reality of this statement is that the current government is utterly devoid of compassion. 5% of lives lost to suicide is too many. To add insult to injury, they allowed the decimation of mental health services so there is little help out there for those who are severely depressed or suicidal. Unfortunately, they don’t sell compassion on eBay or we all might chip in to buy some and send a true care package to Number 10. Last year I got an invitation to participate in the Chronic Illness Inclusion Project. It’s run by a Disability Labour member, Catherine Hale who I’ve now got to know well. The research project is exploring the validity of the concept of Energy Limiting Chronic Illness as an impairment group and as part of the Disabled People’s Movement. The choice of a spoon as part of our DL logo was deliberately chosen as an image and illustration of our everyday lives. We use spoons / spoonie amongst ourselves to describe not having enough energy to do the tasks that everyone else takes for granted. Whilst this makes sense to us and it’s easy to explain to others, it’s not one that is easily recognised by medical professionals. CIIP has come up with the term energy impairment to describe the difficulty that so many of us face with not having enough spoons/energy to do what we would like to do each day. Whilst I love using the term spoonie and and have badges with a spoon on them, I can understand why some people think that we need different terminology. Could there be some sort of scale to compare our energy levels to those of someone who is not energy impaired? One of the most difficult things about being energy impaired is how to quantify our inability to do things because we are just too exhausted. We’re not “just tired” as people seem to think, it’s more fundamental than that. It is literally about saying if I have a shower and get dressed today I can’t do anything else until after lunch because I’m just too exhausted to move. For me it’s much more important that I keep up to date with what’s happening in disability politics and the world in general than I waste spoons getting dressed when I don’t have to go out that day. How often have I heard another spoonie say; Now I’ve cooked my meal I’m too exhausted to eat it”? We need to explain to medical and other professionals that being energy impaired has a huge impact on us everyday. Energy impairment is not just applicable to those who have ME or Chronic Fatigue Syndrome. Energy impairment is a massive part of our lives if we have chronic pain, fibromyalgia or any other long-term condition. Using the term energy impairment gives us a different status. It is a direct comparison against non-disabled people who do not have to battle the difficulties we face every day. If I was to compare how I am on a good day with what I used to do at work running a large Nursing Home, I probably function at about 20% of my previous life. That’s without factoring in things like travel to work and and doing household tasks. That’s easier to explain to the doctor or nurse and possibly social workers or OTs, even if the latter two don’t seem to want to accept what many of us tell them. We talk about people having a visual or hearing impairment so why not talk about being Energy Impaired? I want to encourage Disability Labour members and supporters to use Energy Impairment as a descriptor. It is a simple concept to grasp and could easily be used as part of describing disabilities within documents, training and policy. If disability bloggers and activists use the term Energy Impairment too, it would be a great way of populating this description across the disability community and eventually into mainstream medical terminology. I hope and believe that it can help to change the way disabled people are perceived.